My first step in world building is immersion. I absorb everything I can get my hands on about the culture, place or country involved. Most of this research doesn’t make it into the book, but I think it’s essential for setting the stage correctly. Think of a really good, realistic painting. The painter doesn’t always have the sun or a moon in the sky, but she has to know where the light is coming from. How I manage these ideas really depends on the media. I keep a directory for research right next to manuscript for each novel. When I find an article online, I’ll print it to a file and save it. For e-books, I take advantage of Kindle’s highlighting features. That way, I can browse through the paragraphs that really caught my attention. You can also use something like Evernote to put all these sources in one place. In some cases, I’m keeping the same notes my character would. 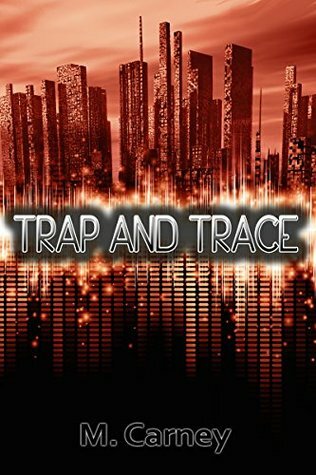 In Trap and Trace, Navy’s getaway involves a few different modes of transportation. I printed out the maps, and made an itinerary and a packing list, just like she had to. To manage these details in the narrative, I often end up with checklists for critical chapters in my timeline. Like in this chapter I have to establish that: she learned how to load a pistol, and how to check if it’s loaded. Because two chapters later she needs to use the pistol and it has to be credible. For the areas I’m the least familiar with, I try to focus on getting specific situations right and not trying to paint myself as an expert. Like the chapters where guns are involved. Navy’s first time at a shooting range is very similar to the first lesson I received on a pistol. But since I’ve shot a gun only a few times in my life, the focus of my scenes is rarely the weapon itself. Honestly, I think I’d be doing that anyway. I’ve read thrillers where the chapters felt cold and distant because the writer was concentrating on proving to the reader everything they knew about guns, rather than showing the reader what the characters were thinking. The true life details you weave in should flow naturally with the character’s thoughts. That’s the only way I know how to do world building. Even if my character is noticing something (like the safety on a machine gun) to educate the reader, the character has to notice that detail for a reason. Every single sentence has to move the story forward. A sabotaged CIA operation makes Navy Trent a captive. But surviving the kidnapping is just the beginning of her ordeal. The CIA will kill her if she doesn’t stay quiet. The saboteurs will kill her if she does. Navy is forced into a high-tech, high-stakes game of cat-and-mouse where only her wits – and a little bit of luck – can keep her alive. Her non-literary creations include a robot to clean the bathroom tub, Zim and Gir costumes, No-Dig tomato stakes, StickFriend the bear bag hanger, and a burning coal costume so she could be Katniss for a night.